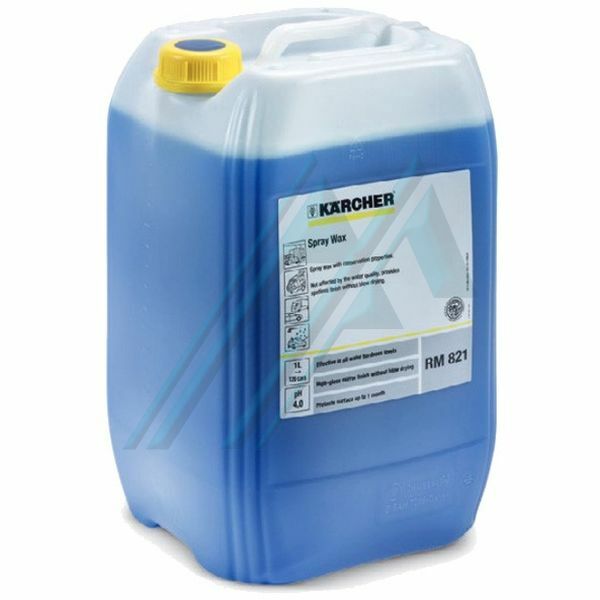 - Dryer brightener-effective for the application on installation of washing in self-service and cleaning of high pressure. - Provides an intense shine. - Drying of the surface without stains, in connection with osmosis water. - Protects effectively up to 1 month. - Applicable with all water qualities. - According to the VDA. - Surfactants are biodegradable according to EEC 648/2004. - No oils or mineral hydrocarbons. Laundry facilities in self-service: Vehicle, industrial vehicles, two-wheeled vehicles. - Laundry facilities in self-service.